In 2004, he temporarily dropped the “Killah” from his name, and released his Def Jam debut The Pretty Toney Theory. The album featured the street smash “Run” with Jadakiss and received positive reception from critics and fans alike. Then in December 2007, Ghost released the winter banger and one of my personal favorites The Big Dough Rehab. Despite the albums critical acclaim, it only managed to move 36,000 units the first week. He released a statement through MySpace about his disappointment in his first week album sales. Ghost first talked about doing an R-n-B album in an interview with Angela Yee at Rock The Bells in August 2008. Ghostdini: Wizard of Poetry in Emerald City was released in September 2009 to little promotion and little interest, despite generally positive reviews. The album was heavily overshadowed by the release of Raekwon’s instant classic Only Built 4 Cuban Linx 2… Pt. II, released two weeks before Ghostdini. And he definitely didn’t appreciate it this time when the album only moved 19,000 units the first week. The first single “Baby” failed to catch steam, personally I thought they should of went with “Do Over.” Rap Radar voted it the #1 Most Underrated Album of ‘09. Now Apollo Kids is being released today with almost no promotion or fan fare. Were quick to blame Def Jam for the lack of promotion (which is generally true) but Ghost hasn’t been doing any promo for the album either. But can you blame him? Despite his albums critical acclaim and the fans positive reception, his albums don’t sell. He probably figures why waste time promoting the album when his fans are just gonna bootleg it anyway (Damn, I’m one of those fans.) He toured this fall with label mate Sheek Louch and is currently on the road with Wu-Tang. 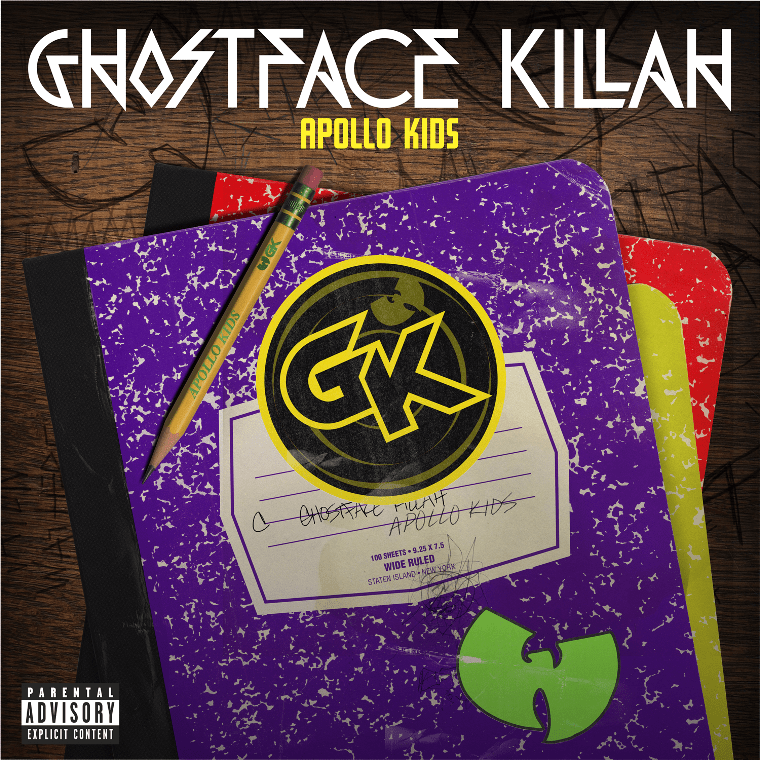 Apollo Kids features production from Sean C & LV, Pete Rock, Scram Jones, Frank Dukes and more. Peep the tracklisting below. Apollo Kids is his eighth solo album released in the past 10 years, not including three collaboration albums he did with Theodore Unit, Trife Da God and Wu-Massacre. Ghost is one of the very few artists who came out in the 90’s and has been able to stay relevant through the 21st century. He continues to release superb albums while the majority of his brethren have fallen off. He has been one of the most consistent rappers of the past decade starting in 2000 with Supreme Clientele. Support Ghostface Killah, one of the most underrated MC’s of all time. I’m on the lookout ahead toward brining my spouse her for evening meal.